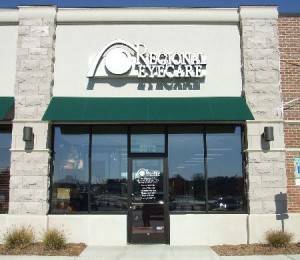 Regional Eyecare has been serving the greater St. Louis area for more than 8 years. Click HERE to schedule an eye exam with one of our eye doctors and learn about your eyeglass, contact lens and specialty lens options. Our friendly opticians are waiting to assist you with our large selection of designer eyeglass frames and sunglasses. Welcome to our Hillsboro office of Regional Eyecare – where we serve your entire family with friendly, expert eye and vision care. Our optometrists offer all-inclusive services to keep your vision clear, healthy, and feeling great! Using leading-edge diagnostics and the latest optometric technologies, we perform comprehensive eye exams for young children, teens, adults, and seniors, always with precision and a gentle manner. If you are diagnosed with an eye disease, such as macular degeneration, cataracts, glaucoma, and diabetic retinopathy, we provide progressive medical treatment to prevent vision loss. Do you suffer from the irritating symptoms of dry eye, computer vision, or eye allergies? Our Hillsboro, MO, eye doctors will evaluate your condition thoroughly in order to find the cause and help relieve your pain with efficient, personalized treatments. We also offer urgent treatment for eye emergencies; contact us for assistance. You are invited to stop by anytime to look through our outstanding optical collection! Our Hillsboro opticians will show you our favorite designer frames and assist you to choose the perfect pair of eyeglasses to complement your vision and style. Do you prefer contact lenses? We stock all the premium brands of quality contact lenses, including daily disposables and specialty types for hard-to-fit vision conditions. Our eye doctors are qualified and passionate about treating your vision and satisfying your ocular needs – from the simplest to most complex. Located conveniently on Highway 21, our Hillsboro office serves new and returning patients from Hematite, De Soto, Morse Hill, Mapaville, MO, and all surrounding communities. Dr. Ryan Read will be working at our Hillsboro eye care center on Mondays, Wednesdays, Thursdays, and rotating Saturdays. Call to book your appointment! What’s There to See in Hillsboro, MO? Hillsboro is a peaceful city located in Jefferson County, Missouri. In addition to housing many lovely residential areas, Hillsboro is also home to the main campus of Jefferson College. To explore the nature of this region, we recommend walking the rugged trails at Valley View Glades, where a stream cuts through the valley and you can view magnificent waterfalls. If getting to the know the history of Hillsboro is more your passion than hiking, visit the Governor Thomas C. Fletcher House. This charming residence of the Missouri Governor in the 1850s displays life as it was “in the olden days.” Seasonal tours are offered at this National Registry of Historic Places home, such as period decorating styles of Christmas trees by candlelight. To relax in Hillsboro, take a seat at the Villa Antonio Winery to enjoy Italian cuisine while tasting flavorful wines. In the winter, you can warm up by the cozy stone fireplace while listening to live music, or in the warmer months – bring your own food and picnic on the beautiful grounds. Another local winery that is worthwhile to visit is the Wild Sun Winery, located in the middle of shady woodlands and perfect for unwinding on a hot summer day. Dr Ryan Read will be working at this location Mondays, Wednesdays, Thursdays and rotating Saturdays. Call and set something up today! 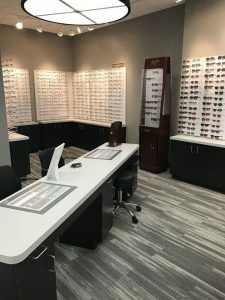 We are excited to welcome you to our newest Regional Eyecare office, located in Cottleville, MO, on Mid Rivers Mall Drive. If you are looking for a total range of eye care services from an expert team of friendly optometrists, you’ve come to the right place! We use modern, cutting-edge technologies and precise diagnostics to perform comprehensive eye exams and provide effective treatments. As a family-friendly optometry practice, we welcome patients of all ages – from pediatric to geriatric, and we treat everyone with a gentle and professional manner. Our Cottleville, MO, eye doctors are committed to preserving your healthy eyes and preventing vision loss. We diagnose and treat eye disease, including macular degeneration, cataracts, glaucoma, and diabetic retinopathy. 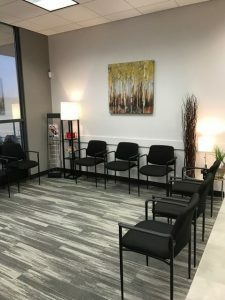 If you suffer from eye irritation, we will inspect your eyes closely to detect the cause – such as dry eye, computer vision, and eye allergies – and personalize effective treatments to relieve your pain. We also offer urgent care for eye emergencies; contact us for assistance. Please stop by our Cottleville, MO, office anytime to shop our designer optical collection! Our experienced opticians will show you our favorite quality frames and help you select the ideal eyeglasses to support your vision and your unique style. If you are a contact lenses wearer, we offer contact lenses eye exams as well as an extensive selection of premium contacts to replenish your supply, including hard-to-fit lenses and daily disposables. Our eye doctors are qualified and passionate about treating your vision and satisfying your ocular needs – from the simplest to most complex. 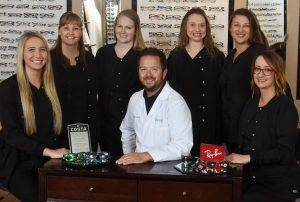 We are pleased to invite Dr. Steven Garnett’s patients and staff to our Cottleville, MO, office, and our optometrists look forward to continuing the tradition of exceptional eye care that Dr. Garnett provided his patients! We are conveniently located across the street from St. Charles Community College (SCCC), in the Great Southern Bank building, and happy to offer eye exams to patients in the St. Peters, Cottleville, St. Charles, and O’Fallon, MO, area. What’s There to See in Cottleville, MO? Cottleville, MO, is a small city that’s big on charm, located in St. Charles County. The population is approximately 3,000, and Cottleville is one of the oldest towns in the region. A cluster of houses has stood here since 1800, near the spot where Dardenne Creek meets up with old Boone’s Lick Road. Originally, Capt. Warren G. Cottle founded and settled this 4.5 square-mile city by farming the land. Nowadays, Cottleville, MO, houses the St. Charles Community College, along with a variety of family-friendly attractions, such as Monkey Joe’s arcade and indoor playground. If you’re looking for a bite to eat, we recommend Stone Soup Cottage, Bemo’s Grill, and the VB Chocolate Bar for a decadent dessert! Or you can bring your own food to Exit 6 Brewery to taste a fabulous line of craft brews and unwind in the comfy, laid-back atmosphere. Go down Mid Rivers Mall Drive approx. 1 mile. We are located on the right hand side just past Cottleville Parkway. If you pass the Great Southern Bank, you have gone too far. Head south on Mid Rivers Mall Drive approx. 3 miles. Turn left on Cottleville Parkway. We are located on the left hand side in the same building as Great Southern Bank in front of Monkey Joe's. We are waiting to see you in our Wentzville, MO, office of Regional Eyecare! Our friendly eye doctors offer a comprehensive range of eye care services to keep your vision clear, healthy, and comfortable! As a family-friendly practice, patients of all ages are welcome. Using the latest technologies and precise diagnostics, we perform advanced, thorough, and gentle eye exams for every age between pediatric and geriatric. 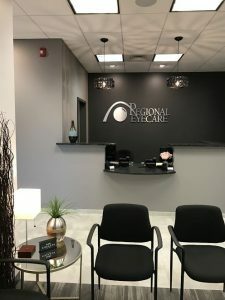 Our experienced optometrists in Wentzville, MO, provide customized, progressive treatment for eye disease, including macular degeneration, cataracts, glaucoma, and diabetic retinopathy. If you suffer from eye irritation, we will evaluate your condition patiently to determine the cause. Conditions, such as eye allergies, dry eye, and computer vision can all lead to painful vision, and we are trained to spot the signs and recommend the most helpful treatments to relieve your irritating symptoms. We also offer eye emergency care in Wentzville; contact us for assistance. Please pop in anytime to browse our out-of-sight optical collection! 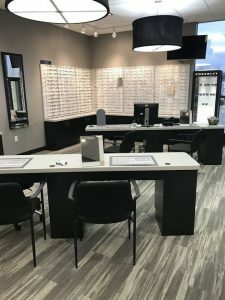 Our Wentzville, MO, opticians will help you to pick the perfect pair of designer frames for your vision and your stylish look. Do you wear contact lenses? Our inventory includes a wide selection of premium brand-name manufacturers, including specialty types and daily disposables. 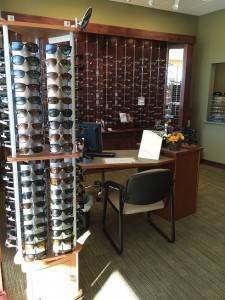 No matter what you need to see, we have it in our conveniently located Wentzville, MO, vision care center! What’s There to See in Wentzville, MO? Located about 40 minutes outside of downtown St. Louis, Wentzville is a vibrant, rapidly growing suburb. This popular neighborhood hosts many annual fairs and festivals, such as the St. Gerard County Parade, the St. Lazlo Wentz Festival, and the Greater St. Louis Renaissance Faire. Heritage: Wentzville is proud to be the site of the first Vietnam Veterans Memorial in the US. The community memorial on W Pearce Blvd, was recently renovated to include a section that honors all military branches, along with a pretty spot to sit and reflect. Nature: Quail Ridge Park, set to the side of Highway 40 and Wentzville, is a local hidden gem filled with paved walking trails through beautiful woodlands. The National Horseshoe Hall of Fame is located on-site, as well as challenging disc golf courses. Shopping: The Wentzville Flea Market is a fun and lively place to explore! We encourage you to search for new and vintage treasures each week, including fresh produce and tasty kettle corn! Another unique shopping opportunity can be discovered at Wentzville’s Town Square Antique Mall. Food: There plenty of great places in Wentzville for savoring mouthwatering grill and bbq, such as West Allen Grill, 54th Street Grill & Bar, and Bandanas BBQ. For family-friendly American comfort food with a warm ambiance, we recommend The Tattooed Dog and Sunny Street Café. Take the Wentzville Parkway Exit off of Hwy 61. Turn west onto Wentzville Parkway and follow that for 2.5 miles. Turn right onto West Meyer Road at the stoplight by Pittman Funeral Home. Make a right into the 1st plaza on the right. We are located next to Mercy and Fresenius Dialysis Center. Take Exit 208 for Wentzville Parkway. Stay on the Parkway for approximately 1 mile. Turn left onto West Meyer Road and make a right into the 1st plaza.